Georgia State’s second preseason match-up concluded in an 80-60 victory over the Rams of Albany State in a game that was not close for the majority of the time. The defense fine-tuned itself after giving up 35 first-half points against Life University in the last game. 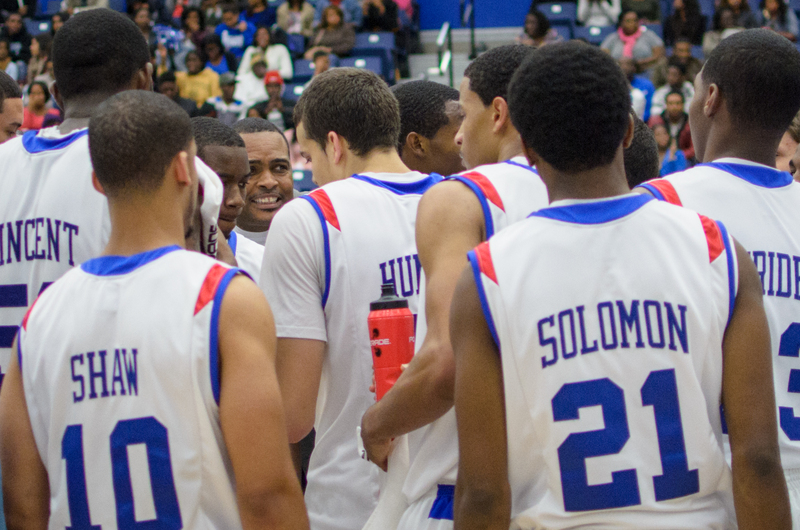 Head coach Ron Hunter gives instructions to his undefeated squad. They allowed only 24 this time and led by 11 at half.In the second half, the lead got as high as 35 en route to the victory. 33 of the Panthers’ points were off turnovers and they outscored Albany State in the paint 30-18. In addition to R.J. Hunter leading the scoring with 22, Devonta White in his first game back from injury had 19 points, seven assists, and three steals. “It felt great, it’s been a while since we’ve been out there as a team, you know, we’ve got a new team. Just being out there with new guys and being out there on the court with that atmosphere, it was great,” White said. On top of White’s huge return to the team, head coach Ron Hunter had to be pleased with how the team shot from the free throw line. Georgia State went 30-34 from the foul line while Albany State only managed an 8-14 night in the same category. With the preseason in the backburner, attention now turns to Duke as Georgia State will travel to Cameron Indoor Stadium in what will be a nationally televised contest on ESPNU on Nov. 9.